Where do I start ?. I have no words to explain the beauty of Jasper. There is no doubt that the Canadian Rockies are so huge and the spectacular mountain ranges surrounded by immense number of beautiful lakes and serene views makes this place really heaven. Before my trip I was researching about Banff & Jasper and there were lot of information shared about Banff but very less on Jasper. After visiting both these places, I fell in love with Jasper and the scenic drive from Icefields parkway to Jasper would stay in my memories forever. There are so many options available in Jasper, which one should I choose? It depends on what you would like to explore in the Canadian Rockies. If you are an active hiker, there are plenty of options available and you can stay even upto 3 days in Jasper. If you have limited time, you can still enjoy Jasper by seeing some of the must see places like Maligne Canyon, Maligne Lake, Medicine lake and world famous Spirit Island. All of these attractions are on the way in Highway 16 and you would want ~ 1 to 1.5 days to see them all. Jasper was final destination of our road trip through the Icefields parkway. We drove to Jasper from Banff and took a break at the Glacier View Inn located inside the Icefields Glacier discovery center. We spent the evening to Athabasca falls and drove to Jasper townsite for dinner and watch wildlife in the evening. As mentioned by many of the folks in forums and word of mouth, we did see Caribous, deers, Moose on our way from Jasper towards Icefields. Our Jasper trip started with the hike to Maligne Canyon which is in the Maligne lake road that you can access from Highway 16 towards Edmonton. 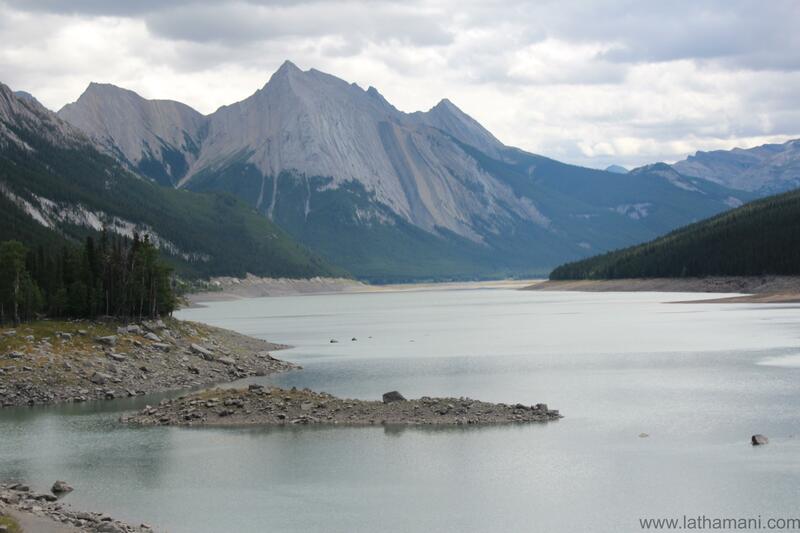 Highway 16 also offers stunning shades of turquoise lakes and serene mountain views. 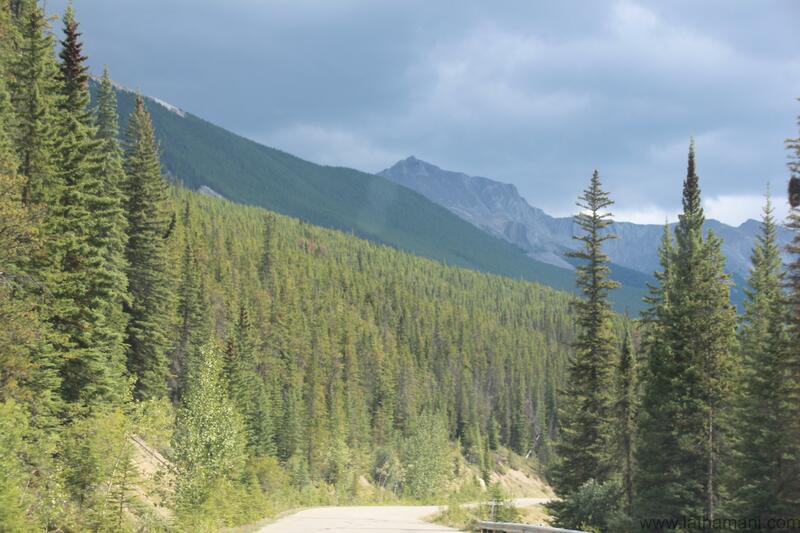 The Maligne road scenery is quite different from Highway 16 as you’ll feel that you are entering dense forest area. 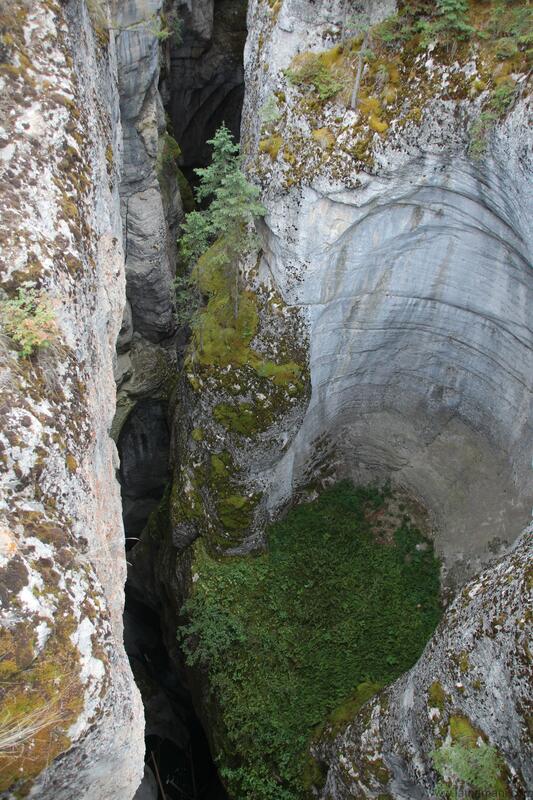 Maligne Canyon is 11 Kms from Jasper which is a very deep and narrow canyon. This is one of the complex hikes that can take anywhere between 2 to 3 hours. There are various trails which lead hikers past a series of waterfalls. There are sign boards in the canyon describing the geology of the canyon and gives information about the various bridge points in the canyon. The canyon is famous for fossils and you can spot some of them on your hike to the canyon. The scenic views of the canyon can be captured after crossing six bridges as per the information boards in the canyon. Since we did not have enough time we hiked upto the fourth bridge and returned our way back to our next destination. We did travel by car to the sixth bridge to see if there were any interesting observations but it was just an ordinary creek flowing across the bridge. 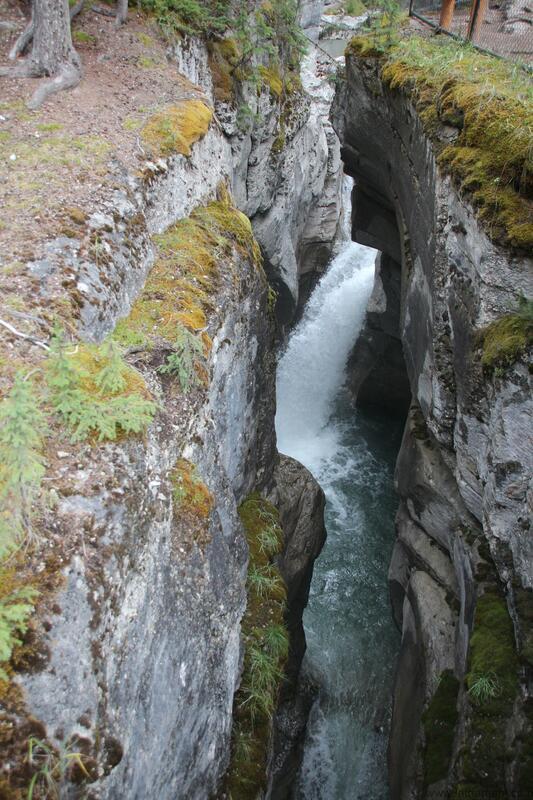 If you have more time in Jasper and interested in hiking, I would recommend to hike the complete canyon. 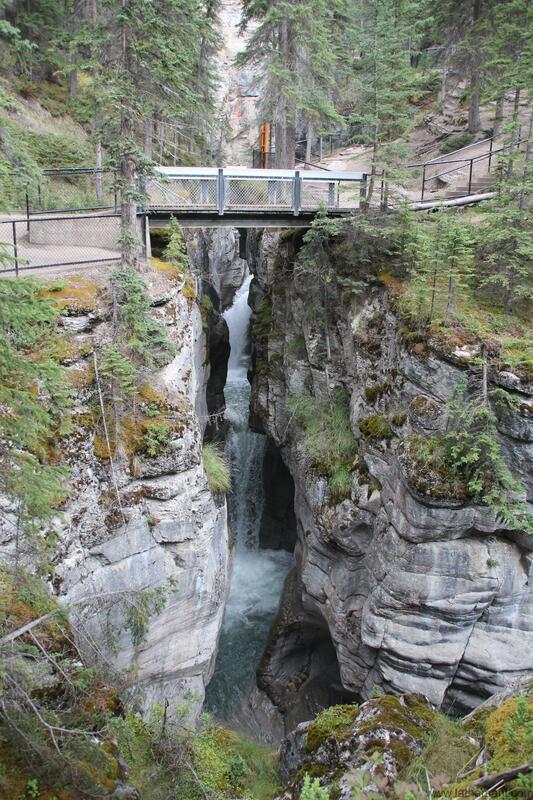 From the Maligne Canyon, the road continues past gorgeous forests and stunning panoramas of the mountains. Medicine lake was the next destination which is on the way to Maligne lake. As part of our boat tour to Spirit Island we came to know through the tour guide that this lake vanishes every year. The lake is full in summer and diminishes close to fall time. The water goes underground and it looks like they conducted an experiment with a red dye to see the route of the lake. They found the red dye several meters away which clearly showed there were lots of movements happening in that area. 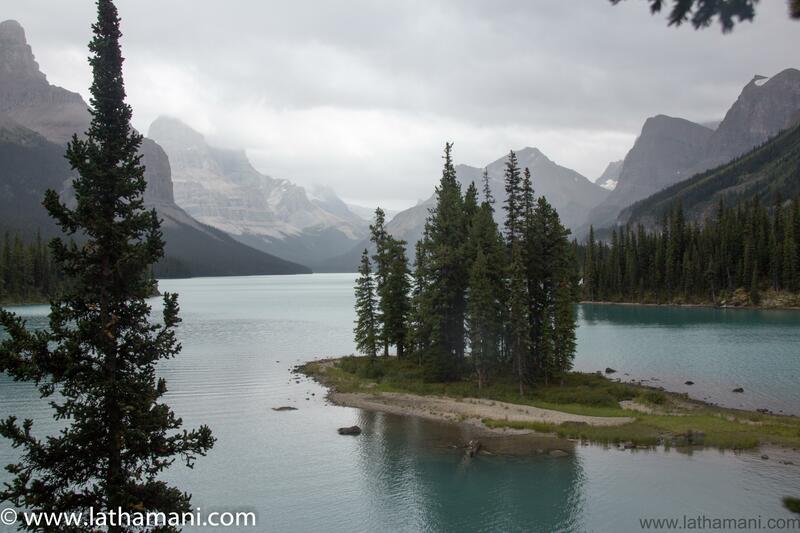 Maligne Lake is the largest glacially formed and fed lake in the Canadian Rockies and Spirit Island is the heart and soul of Jasper National Park. Maligne Lake is a spectacular lake in the Canadian Rockies surrounded by snow capped peaks and is 22 Km long. Prior to my trip, I have heard that this is one of the most photographed spots in Canada. 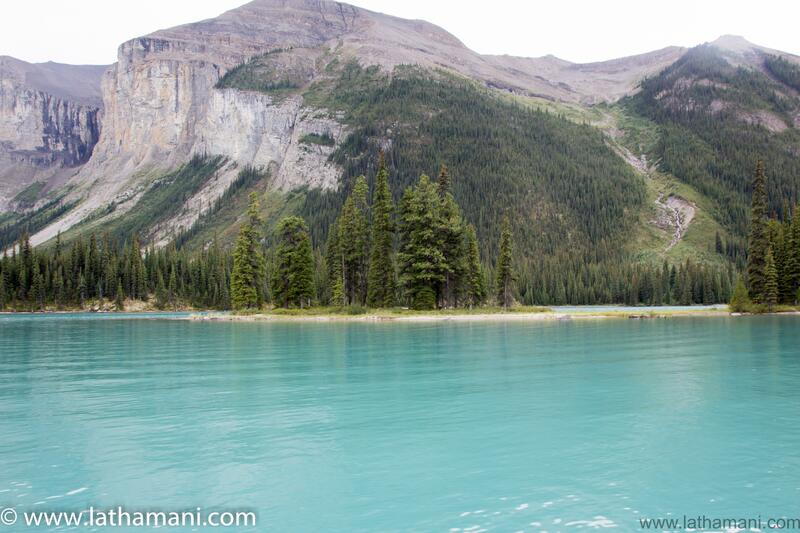 Spirit Island is located in Maligne Lake and can be accessed only by boat tours. This is a must see attraction and if you are into photography, you are sure to capture the breathtaking vista of the lake, glaciers and the mountains views. 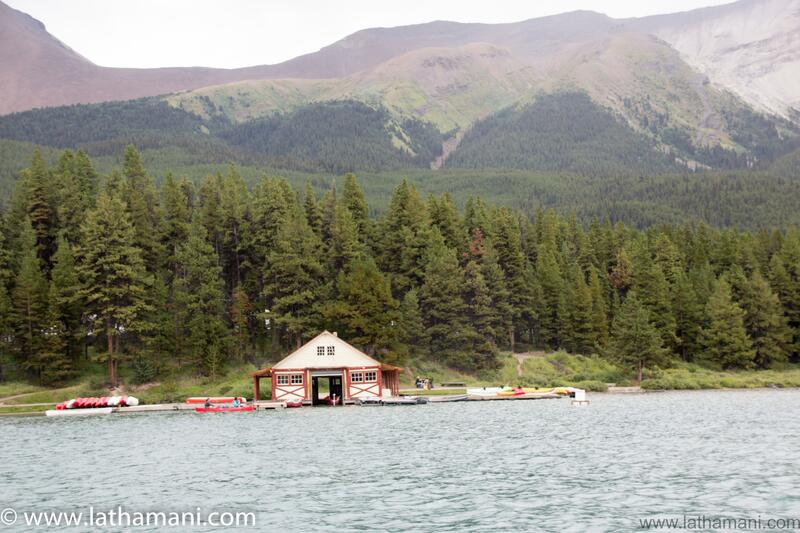 2 Responses to "Jasper National Park"
Thanks Ananya for your feedback !